Today, we’ll be taking a look at the Zotac GeForce GTX 1060 AMP Edition, featuring 6GB of GDDR5 ram, Ice Storm cooling and Freeze-Tech. It supports GameWorks, VR Works, G-Sync, DX12 and it’s also VR-Ready. Over the past couple of months we’ve reviewed the Zotac GeForce GTX 1080 AMP Extreme Edition (8GB GDDR5X), which was a beast of a card both in price and performance. It outperformed everything we’ve tested to date. Then Zotac released their GeForce GTX 1070 AMP Edition (8GB GDDR5), which offered amazing performance at a price which was a little more attainable but still pricey. 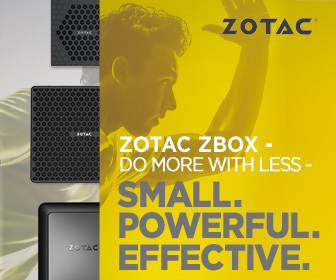 Now, we have a more affordable 10-series card from Zotac, which some believe offers the best price/performance ratio … meet the Zotac GeForce GTX 1060 AMP Edition (6GB GDDR5). As with all 10 series GeForce cards from Nvidia, the GeForce GTX 1060 uses the same 16nm FinFET process and Pascal architecture. You’ll notice from the photo below, the GPU is marked GP106-400. The original GPU runs at speedy 1506 MHz and can be boosted to 1708 MHz while memory clock operates at a blistering 8 GHz! Same as the GTX 1070. Sadly however, the Geforce GTX 1060 does not support SLI multi-GPU configurations. More at Nvidia’s website. With a lower number of CUDA cores (1280), less video memory (6GB GDDR5) and lower memory bus (192-bit), the GTX 1060 is aimed at the mainstream market, for gamers who are after decent performance at a price that won’t hurt their pocket. Having said that … the performance should still be pretty good, and should be more than enough to run all the latest games at ultra settings. The first thing you’ll notice about the Zotac GeForce GTX 1060 AMP Edition is the size of the card. Measuring just 210mm x 128mm, it’s shorter and much more compact than other GeForce GTX 1060s we’ve seen. This means it could be installed in many ways … including HTPC builds, modding projects and much more. Zotac have increased the base clock rate of the GTX 1060 from 1506MHz to 1556MHz, and with Zotac’s Firestorm overclocking utility, you can further increase the clock speeds to a whopping 1771MHz or higher! We’ll be comparing the Zotac GeForce GTX 1060 AMP Edition with a MSI GeForce GTX 1060 Gaming X, as well as its bigger brother, the GTX 1070 and GTX 1080. We’ll also be testing this card using a number of benchmarks, including 3DMark Time Spy (DX12) and DOOM (Vulcan). Ok, let’s not waste any more time and start by looking at the specifications of Zotac GeForce GTX 1060 AMP Edition in our next page.